For a private airport transfer, read here! 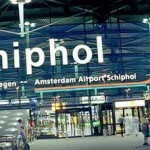 If you are flying to Amsterdam and will arrive at Schiphol, you have no need to worry. It is very easy to get from Schiphol airport to Amsterdam centre. The easiest way is of course to use a taxi waiting outside the airport to pick you up, but if you are looking for other ways, we have some suggestions for you. The second easiest way is to use the direct train from Schiphol airport to Amsterdam. Read more about train in Holland. The trip from Schiphol to Amsterdam Centraal takes around 20 minutes, and costs around 4 Euro. There are some buses leaving from Amsterdam Airport Schiphol as well, but we warmly recommend using the railway system. If you would like a driver to be waiting for you at Schiphol Airport, book a private airport transfer. Some airline companies like Wizz Air, Ryan Air and several others do not fly to Schiphol, but they rather fly to Eindhoven. 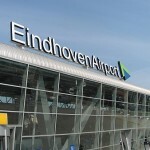 If you arrive at Eindhoven airport there are two ways in which you can easily reach Amsterdam. You can either buy a bus ticket at the airport and travel by bus 401 to Eindhoven station. From there you jump on the train and you will be in Amsterdam after around 60 minutes on the train. The other option is to use Airport Express bus, which takes you directly to Amsterdam from the airport. The price is almost the same as using bus/train.